Festival of the Lights - Oil was burned by the Menorah lamp - symbolically represented here by Sufganiyot & Latkes! Yummy! Meekk, Rick & our team have created an evening to celebrate the Festival of the Lights. These are always a super fun evening. Latkes, dreidel, sufganiyot (jelly donuts) and chocolate gelt are part of the family experience. We'll share some fun Chanukah videos too! 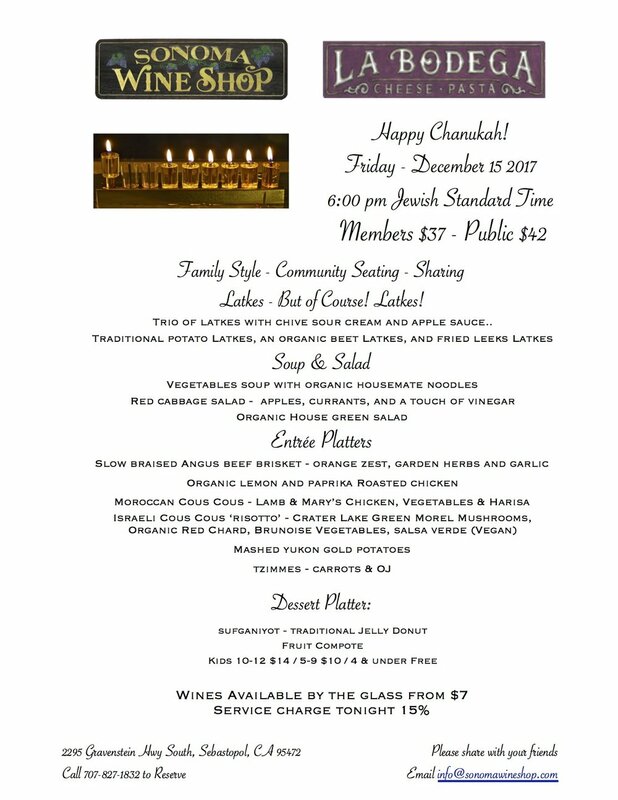 Yes, we've schedule Chanukah dinner slightly different this year to allow our various members to celebrate all the different holiday events. Please call and reserve your family and friends seat at the table.